A1c stands for Hemoglobin A1c test and the letters A1c stands for the type of hemoglobin A that is associated with diabetes. The meaning of A1c in medical terms. Because the short name A1c has many different meanings we only focus here on the meaning of A1c in the medicine books. In US sit is known as A1c and Hemoglobin A1c. The average glucose in the blood. and the extent of their response to the treatment prescribed to them by the physician during the previous three months. What is the other types of Hemoglobin A? It is about 8% of hemoglobin A is made up of small fractions which include hemoglobin A1c, A1b, A1a1, and A1a2. While total Hemoglobin A is 90% of hemoglobin itself. To know more about Hemoglobin itself visit this Hgb page. Why Hemoglobin A1c only is associated with diabetes? Because the hemoglobin A1c is the type of hemoglobin that attach glucose molecules as the red blood cells live and run inside our blood vessels. which is responsible for the transport of oxygen in the blood. It turns when glucose binds to the glycoside. Afterwards in 2009, an international expert committee recommended the hemoglobin A1C test be used as a diagnostic test for type 2 diabetes and prediabetes. Why A1c test only valid for preceding 2 or 3 months only? As the red blood cells live for about 120 days it will reserve quantity of glycated hemoglobin for the same period. Also the test is an average to the whole period because the fact that the RBC’s cycle is regenerated. What does A1c Blood Test identify? Diabetes and Prediabetes for adults and single variant kids. What does A1c blood Test Tell about Diabetes? Hgb% tells how much sugar is attached to the blood’s hemoglobin protein. Results tells how well your prescription was effective to control the amount of sugar in the blood over the past two to three months. 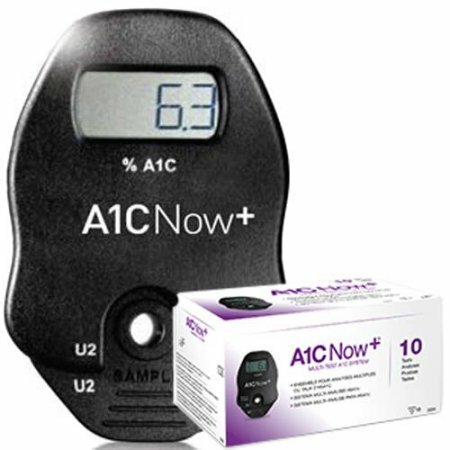 To know what is a good a1c level for you please visit A1c Chart page.